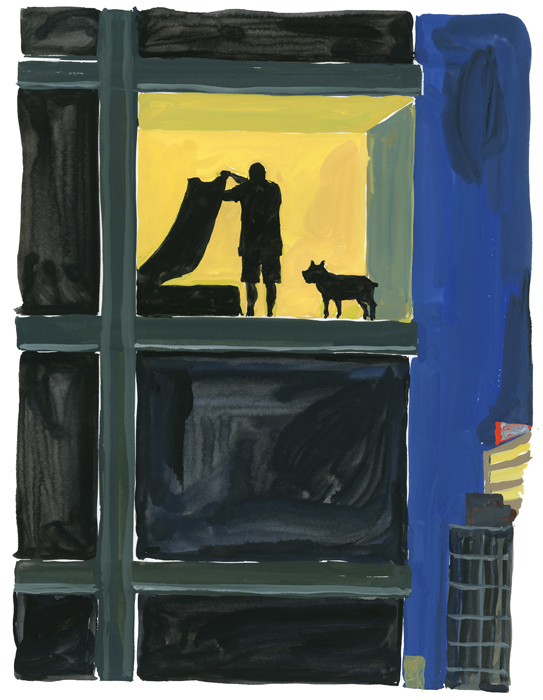 I saw a man, with a dog, making his bed in a brand new condo on Flatbush Avenue. 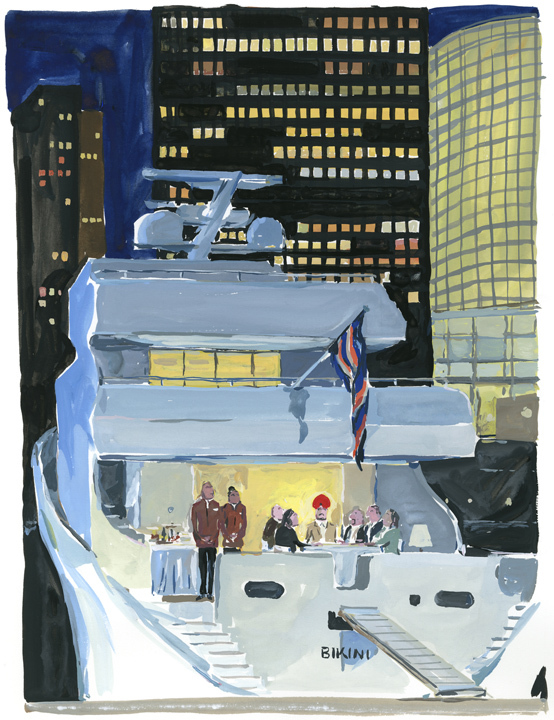 On a yacht moored in Battery Park, a man with a red turban was presiding to an intimate dinner, exposed to the Saturday passersby. 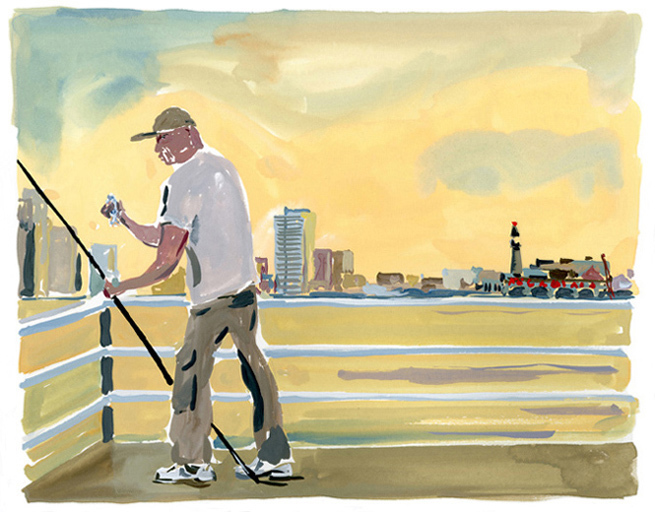 I was painting watercolours of the New Jersey sunset, and saw a solitary man catching a small fish from the pier. 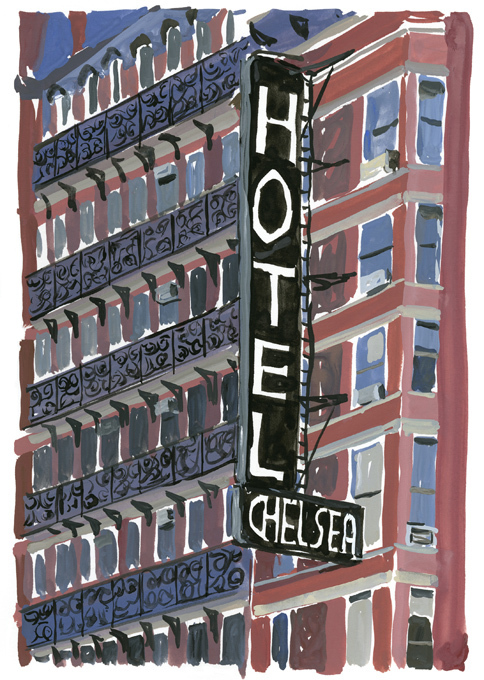 And I walked to 23rd Street and 8th Avenue, to see if the Automat where (as told in Just Kids) Allen Ginsberg once bought a sandwich for Patty Smith, thinking she was a boy, still exists.